Last-start Caulfield winner Ball Of Muscle (r) takes on Sydney’s top sprinters in The Shorts. Speedster Ball Of Muscle will bid to defy age and a race hoodoo when he takes on top sprinter Redzel in the Shorts at Randwick. The Joe Pride-trained gelding, a brother to Group One winner Tiger Tees and half-brother to Terravista, has finished second in the race for the past three years. “He has fallen short in the Shorts if you like,” Pride said. Ball Of Muscle resumed with an all-the-way win in Melbourne where he staved off Voodoo Lad and Brave Smash, who will again be among his rivals in the Shorts. His record suggests Ball Of Muscle usually improves deeper into his campaign, although he faces a tough field on Saturday headed by reigning Everest favourite Redzel. One factor that doesn’t bother Pride is Ball Of Muscle’s age. Having trained both Tiger Tees and Terravista, Pride says family history suggests the eight-year-old still has plenty to offer. “The brothers….all won Group races at eight and they’ve all shown they’re just as good at that age,” he said. “I would just rate his win the other day up there with the best performances I’ve seen from him and he generally doesn’t produce his absolute best first-up. So it’s a pretty good indication of how he’s going. Ball Of Muscle is $11 for the Shorts with Redzel the dominant $1.80 favourite. 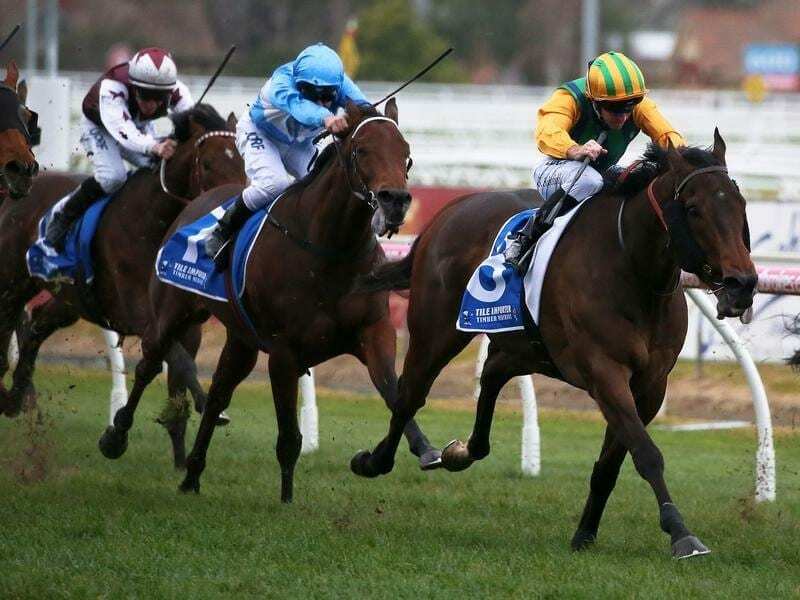 Brave Smash, English and Invincible Star – who have all secured berths in next month’s $13 million Everest – are the only other runners under double-figure odds.